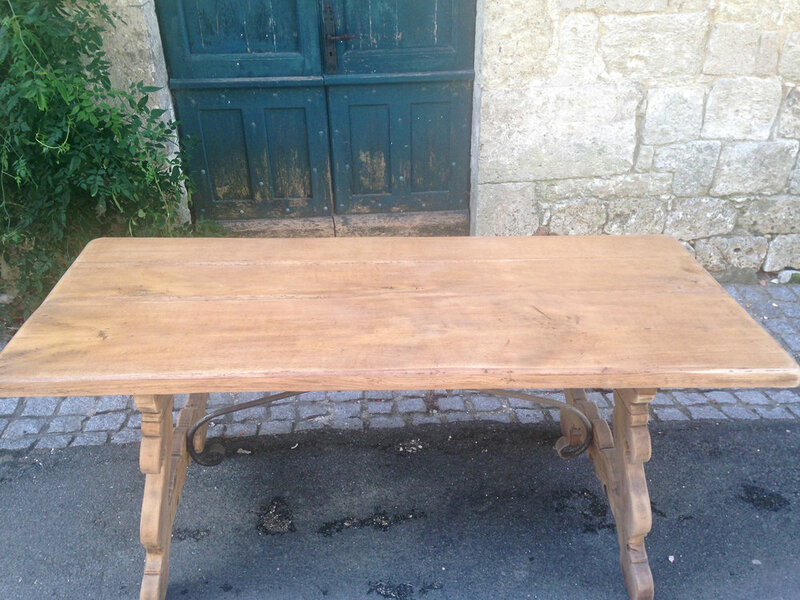 We love this oak table for its utilitarian size, warm light oak color, and decorative Spanish-style base. Inspired by the style of 18th C Spanish refectory tables, it has been sanded, coated with a water-proof polymer and then waxed to a soft glow for a handsome, but practical, table. The original forged iron stretchers have been stripped and polished and lend and unusual and beautiful decorative touch. 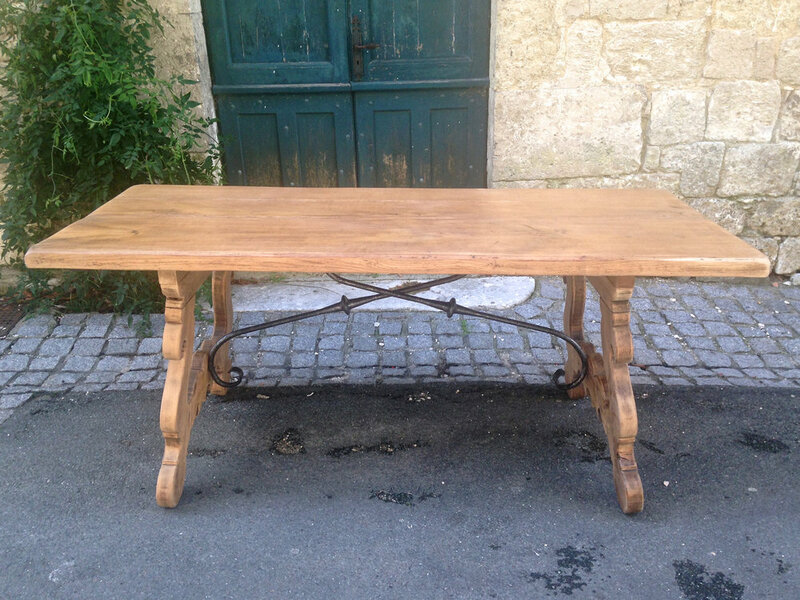 It would make a great dining, library or hall table. 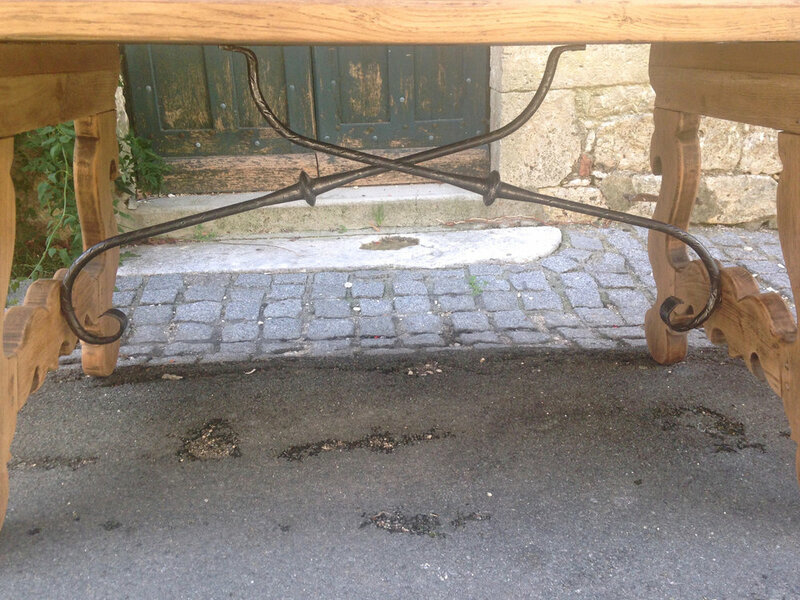 The legs cant outwards a little bit, which is intentional and normal for this type of table.